MTB tracks in GPX, KMZ and TRK format. To always be on the correct track you can download Mapas de España (Maps of Spain) app from the Spanish National Geographic Institute, from where you can access to all of our routes and navigate on accurate maps as well as to obtain additional features for free: click here (only android version available). 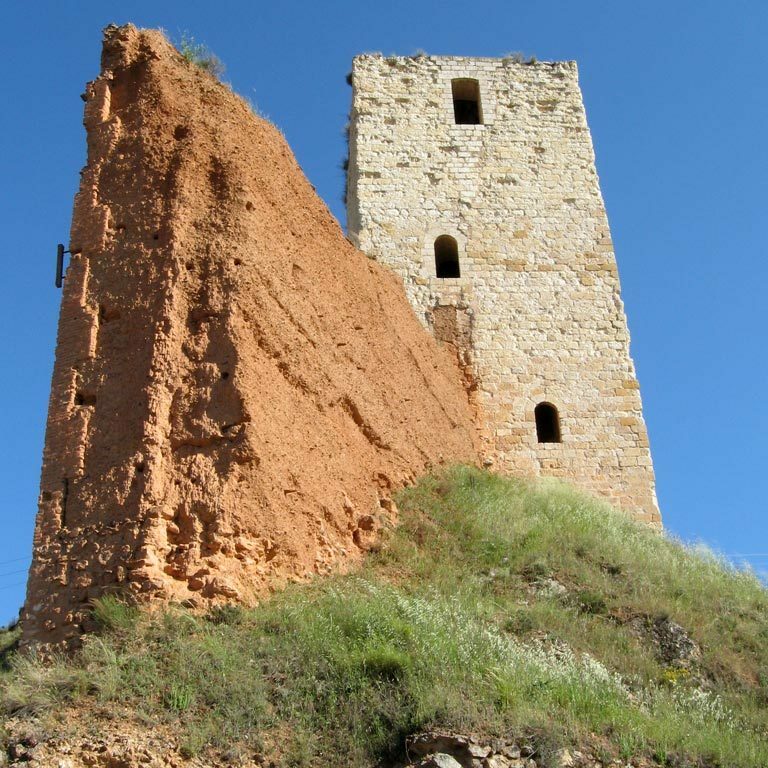 Guides on (Spanish): castles and countryside of the Way of El Cid as he passed through the province of Zaragoza, published by the Provincial Council of Zaragoza.Only available in Spanish. 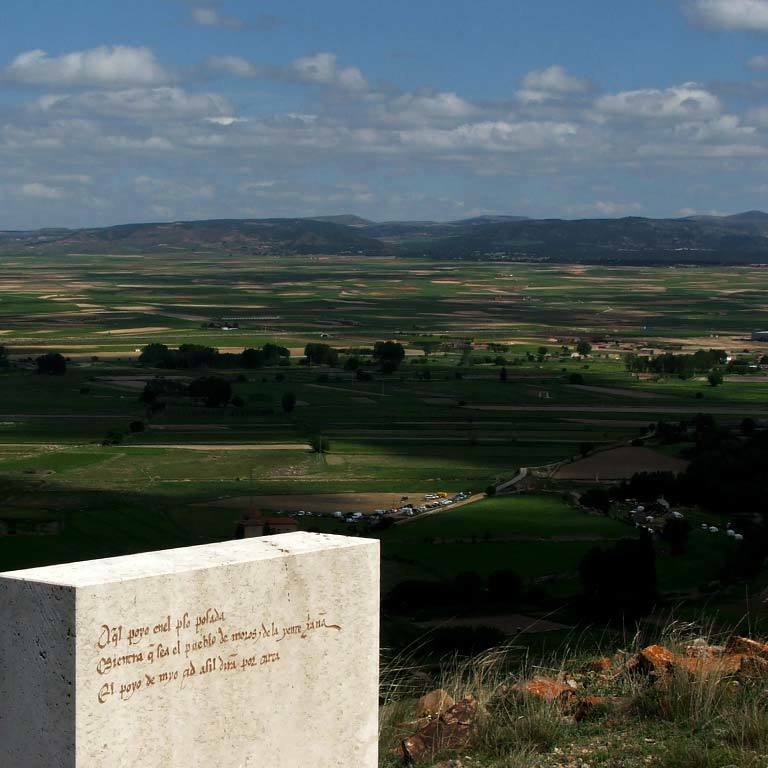 El Cid fought his first great literary battle (in other words, according to the Poem) in Alcocer, which is today a deserted place near Ateca (Zaragoza) and it is here where travellers start their route, or in Calatayud, 15 km away, to whose gates El Cid chased one of the Moorish generals defeated in his battle with 3000 Moorish knights from Valencia. The organisation and autonomy of the growing army of El Cid allowed him to travel around the borders of the various Moorish kingdoms without difficulty. 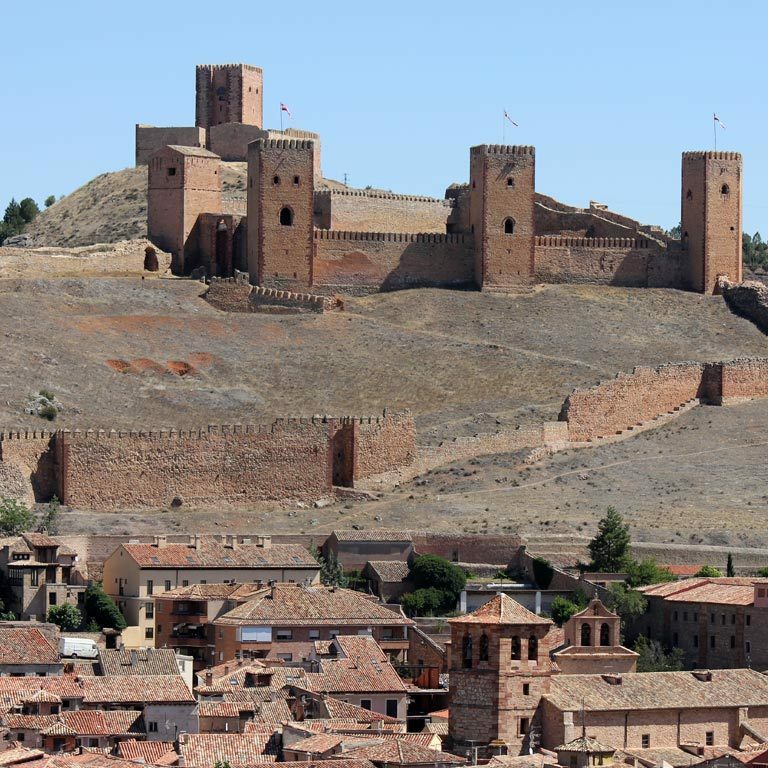 Three very different taifas (Toledo, Zaragoza and Albarracín) were used as the literary scenario for El Cid and his people. 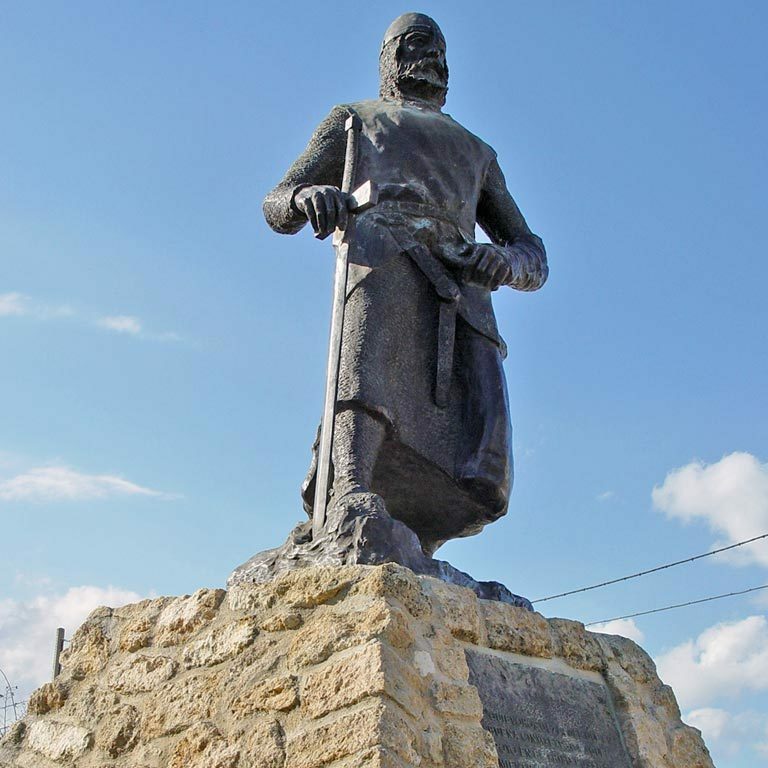 According to the stanzas of the Poem, victory made it possible for El Cid to impose his law on the various roads and in the many towns of these taifas. 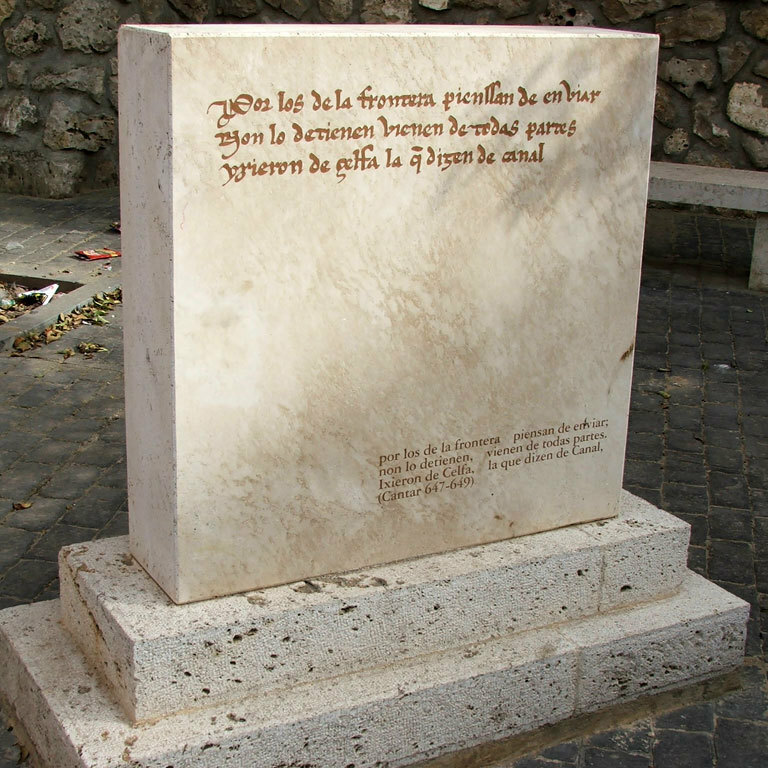 Four of the main milestones of the Poem in this section: El Poyo del Cid, in Teruel, where El Cid reinforced a Roman fortress, turning it into his headquarters for Teruel and Zaragoza; Molina de Aragón, in Guadalajara, an area governed by Avengalbón, one of El Cid's Moorish allies, who was to serve him loyally and protect Rodrigo's daughters; Albarracín, in Teruel, a stop-off used by El Cid's followers on their journeys between Castile and the Mediterranean; and Cella, in Teruel, where, according to the Poem, El Cid decided to gather together all the men who wanted to go with him to conquer the city of Valencia. You have before you 300 intense kilometres of countryside, history, art and adventure across old, wild lands that once formed part of three Moorish kingdoms or Taifas. 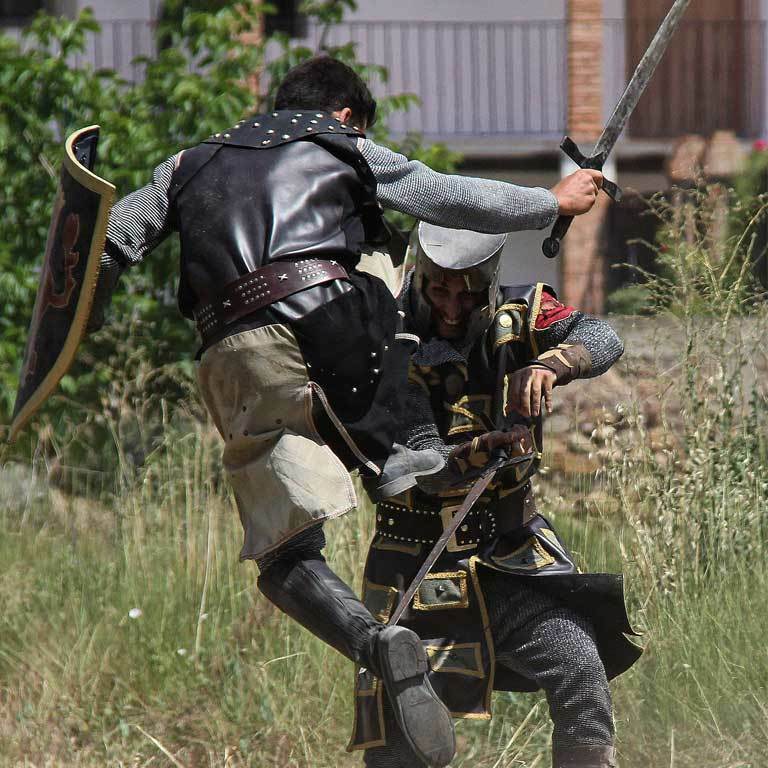 A physically demanding route (much of the layout runs through mountains), but fascinating at the same time and with milestones that include four important medieval walled towns: Calatayud, Daroca, Molina de Aragón and Albarracín. 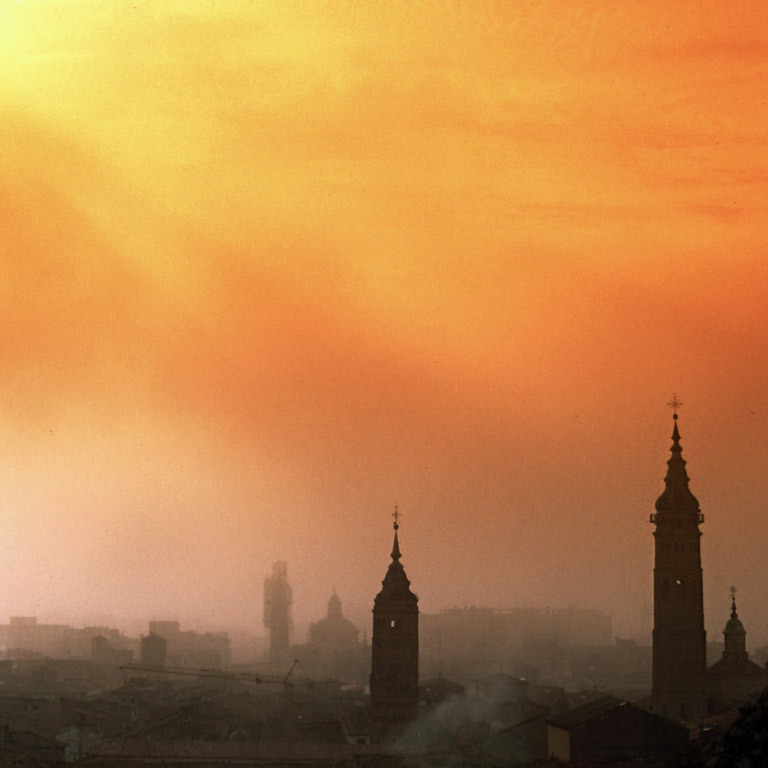 Because of its size and age, Calatayud is one of the most important Islamic walled towns in Spain. The Moorish influence can also be seen in its Mudejar heritage, which includes some of the most beautiful towers this art has produced. 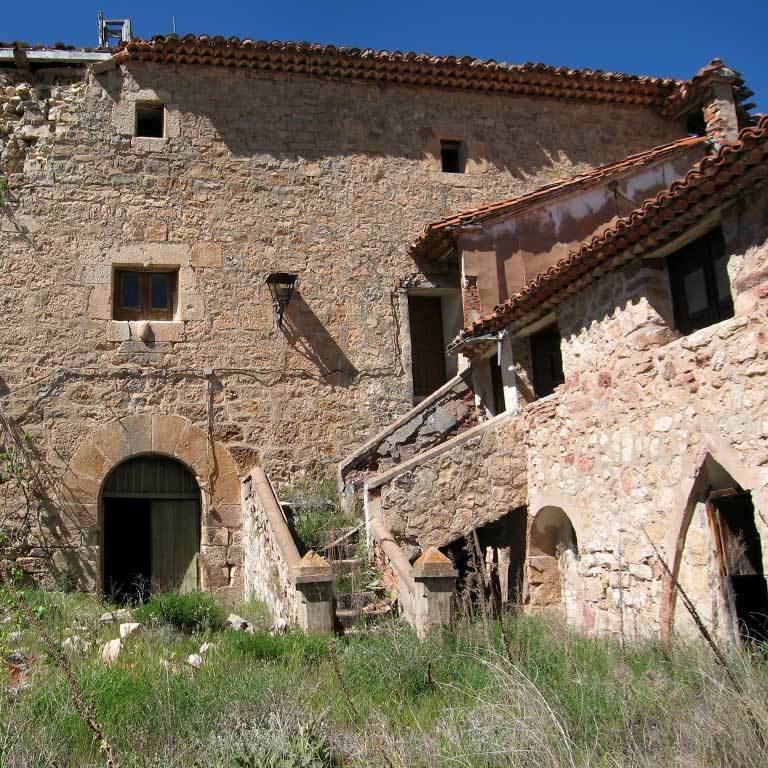 In Aragón, it has been declared a World Heritage Site. After leaving Ateca and after 60 km of wild countryside in the Pardos Mountain Range, Daroca awaits, founded in the eighth century by Yemeni Arabs. 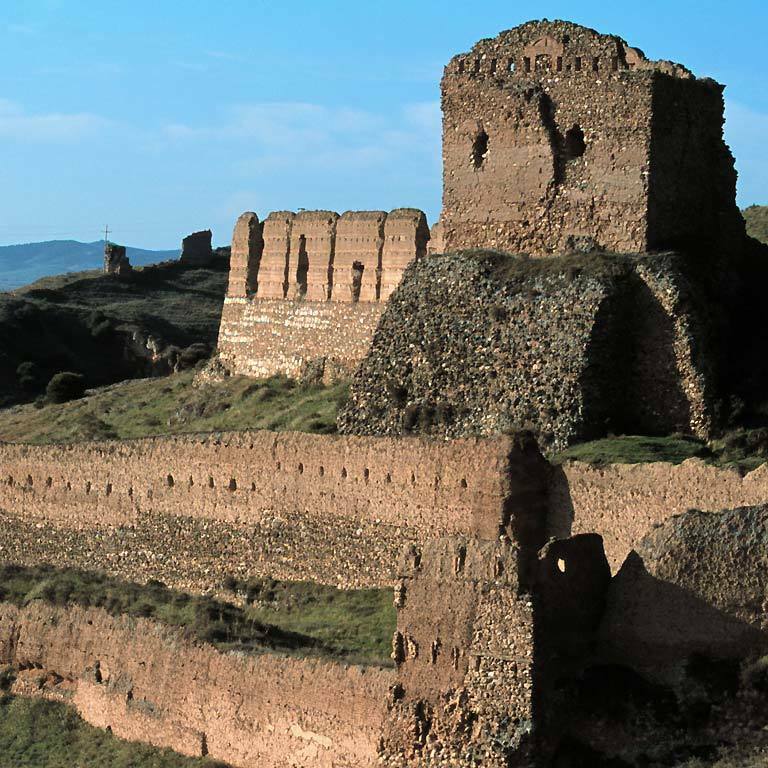 Calatayud and Daroca were located at the important pass through the Valley of El Jiloca, which joined the plateau, the Valley of El Ebro and the East and were two large Islamic fortresses. 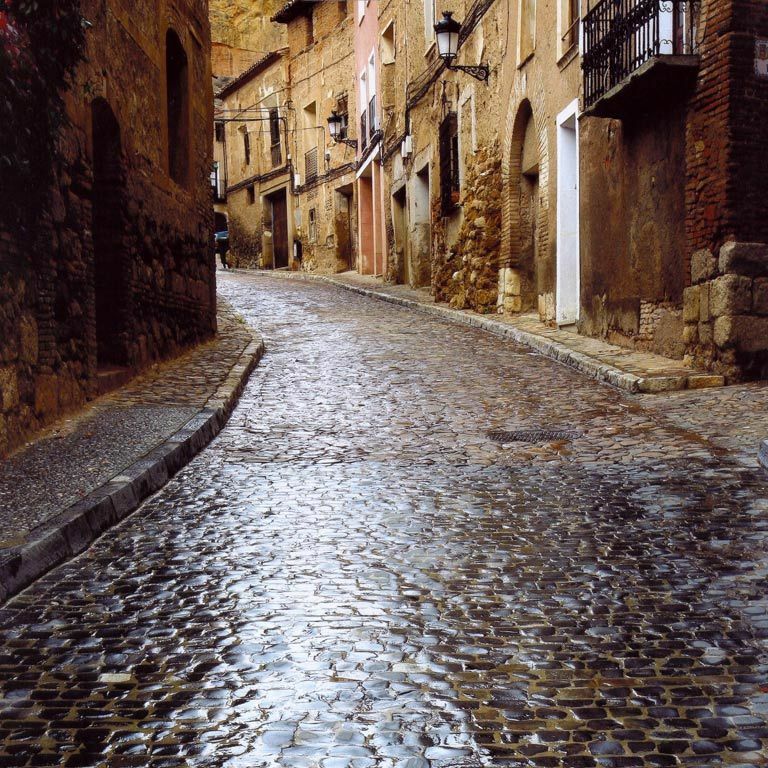 Daroca has an important wealth of artistic heritage (including good examples of the Romanesque style) as a result of the town's rich history. At dusk, the town walls take on an interesting golden colour. 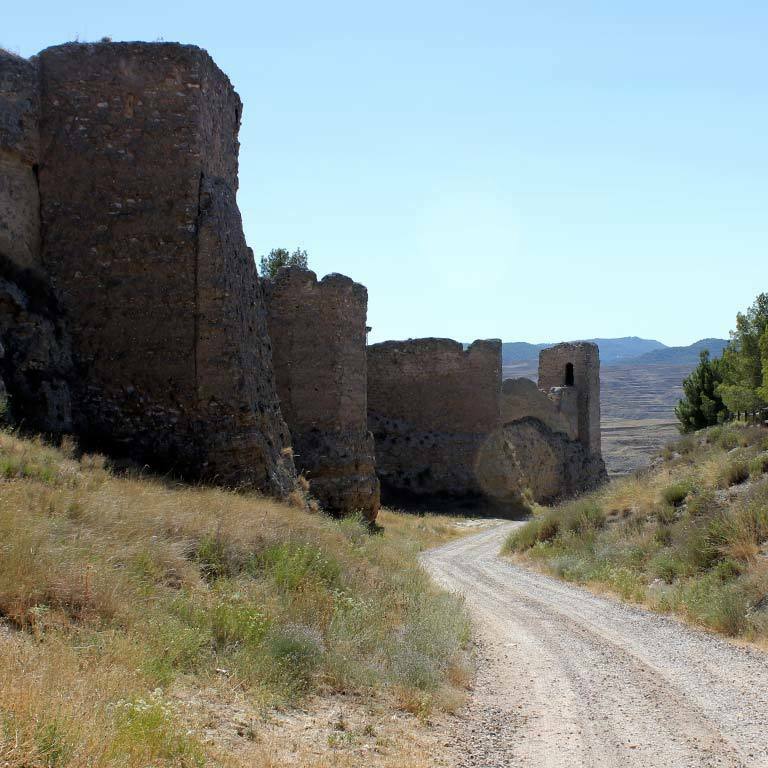 The third town on the route is Molina de Aragón, full of monuments, with its castle as its symbol (perhaps the most beautiful of those on the Way of El Cid). 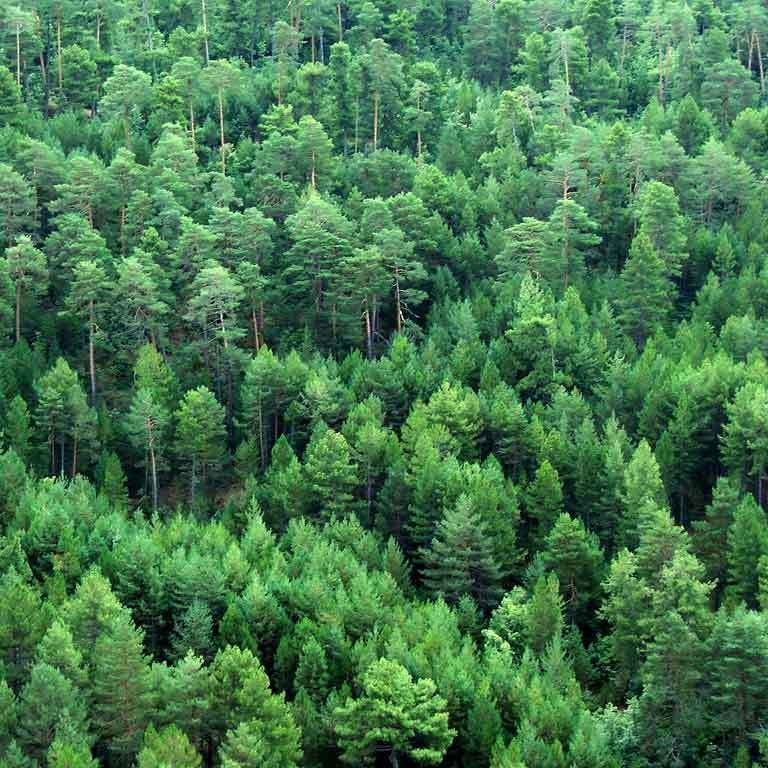 From Molina, the landscape changes brusquely and we travel into one of the most untouched areas of the entire route. 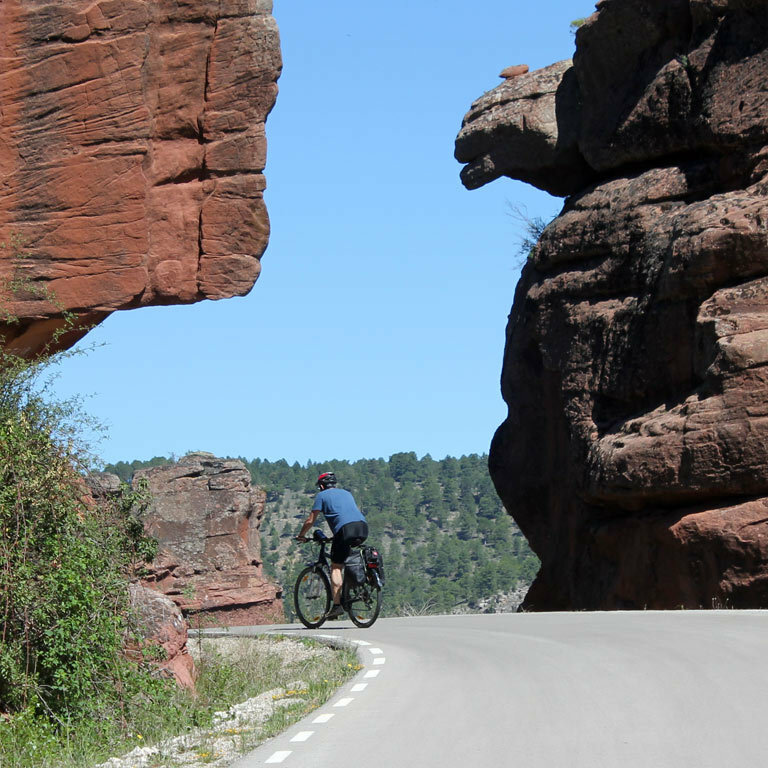 In the next 100 km, up to Albarracín, we will cross five natural areas, one after the other: the Natural Reserve of the Upper Tagus, the Mountains of Picaza, the Bogs of Orihuela, the Juniper Forest of Monterde de Albarracín and the Pine Groves of Ródeno: river gorges and canyons, birds of prey, mixed forests of ilex, juniper and black pine (especially the latter), bogs, mountain goats and all kinds of deer. 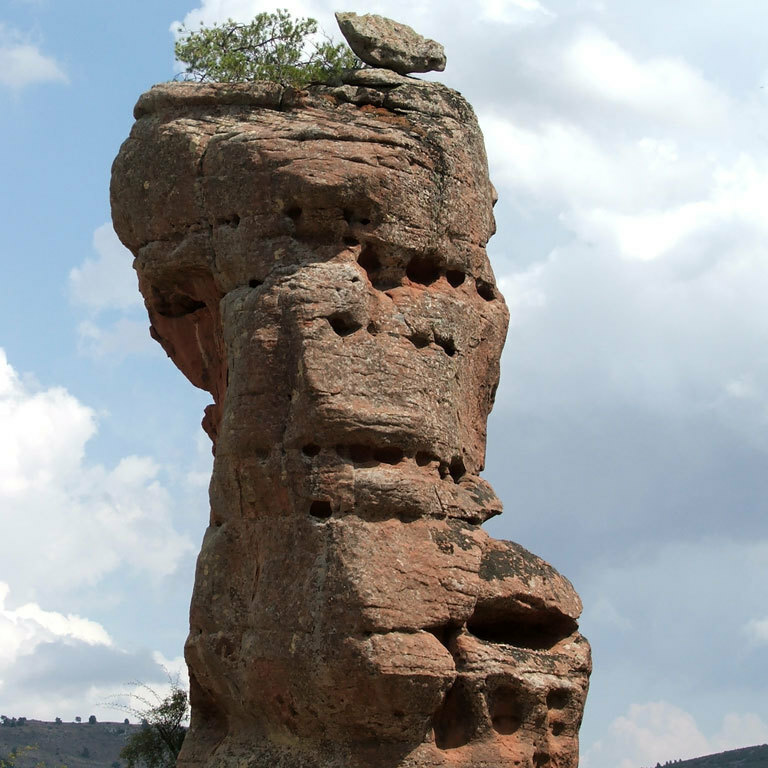 The entire area is also an impressive outdoor geological museum with all kinds of faults, folds, stone rivers, drop stones and all forms of erosion, some of which are particularly interesting, such as the Towers of Chequilla. 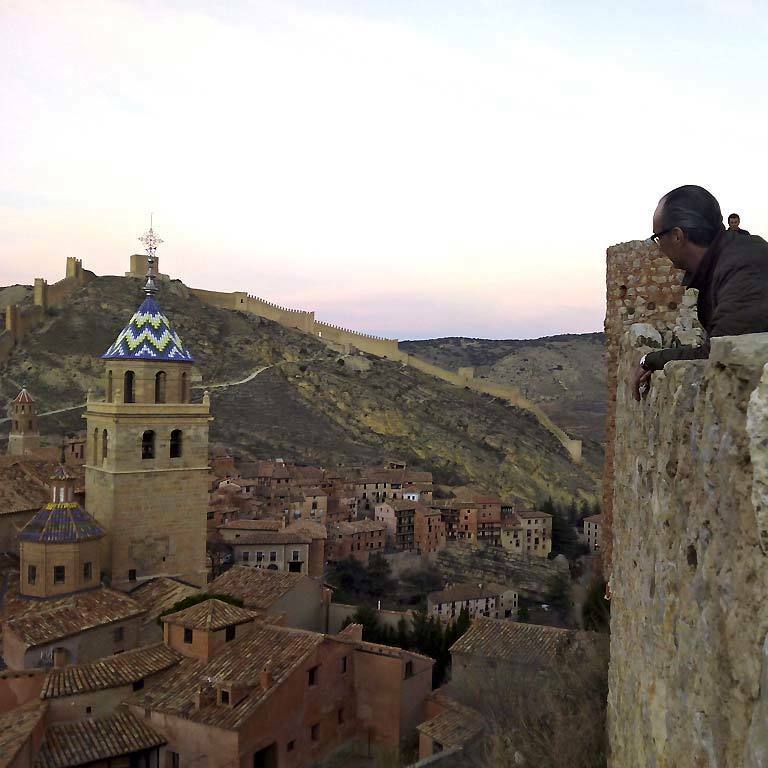 Crossing this countryside takes us to a vantage point over Albarracín, which is the best way of viewing this small town (an ever-present on the lists of the most beautiful in Spain). 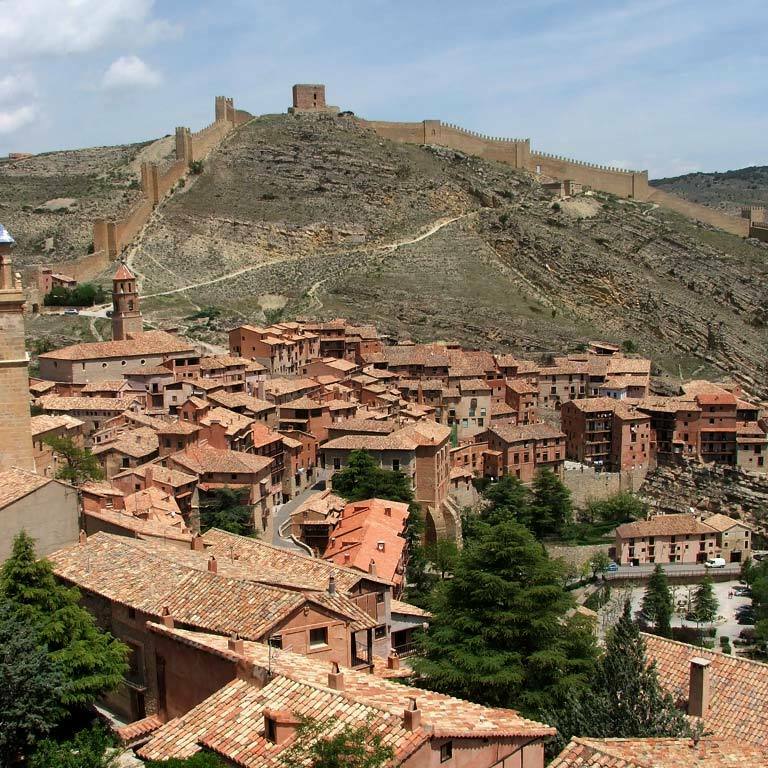 Albarracín is the fourth largest walled town on the route and was the capital of the small but important Taifa of the Banu Razin. Here, according to history, El Cid was almost killed in a brawl. From Albarracín, after a well-deserved rest, we head for Cella. 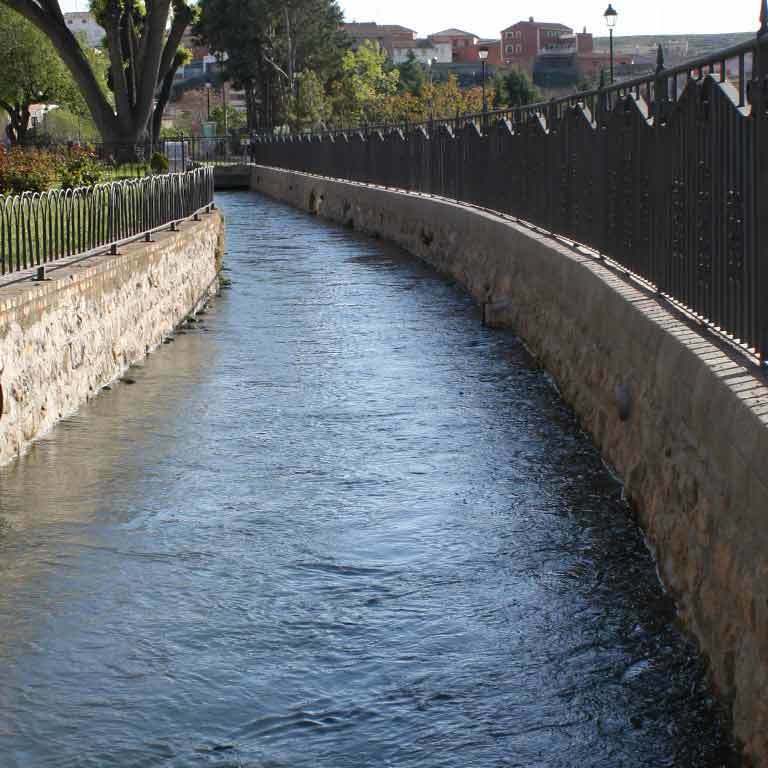 On this last section of the journey, we can visit one of the most important hydraulic works of Roman times in the area, conserved by the Arabs: the aqueduct that joins together Albarracín and Cella, part of which is dug into the rocks and which travellers can follow along some of the sections. 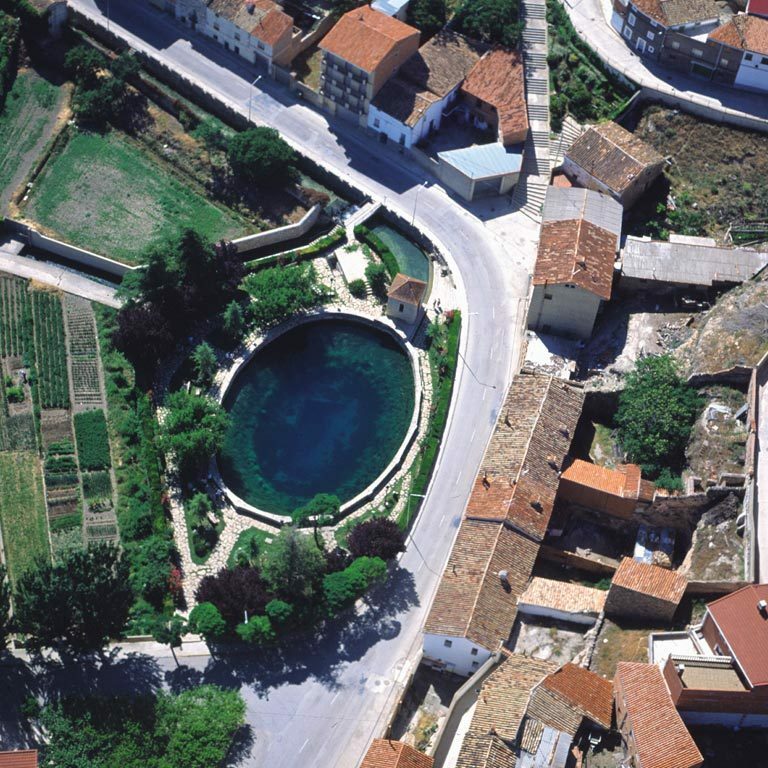 One last surprise awaits in Cella, the end of the Three Taifas section: its artisan well, one of the largest in Europe. In the 12th century, Cella was probably a border town and very 'lively', with a good number of mercenaries. It was the place chosen by the author of the Poem as the place where El Cid waited for all those who wanted to go with him on his conquest of Valencia. 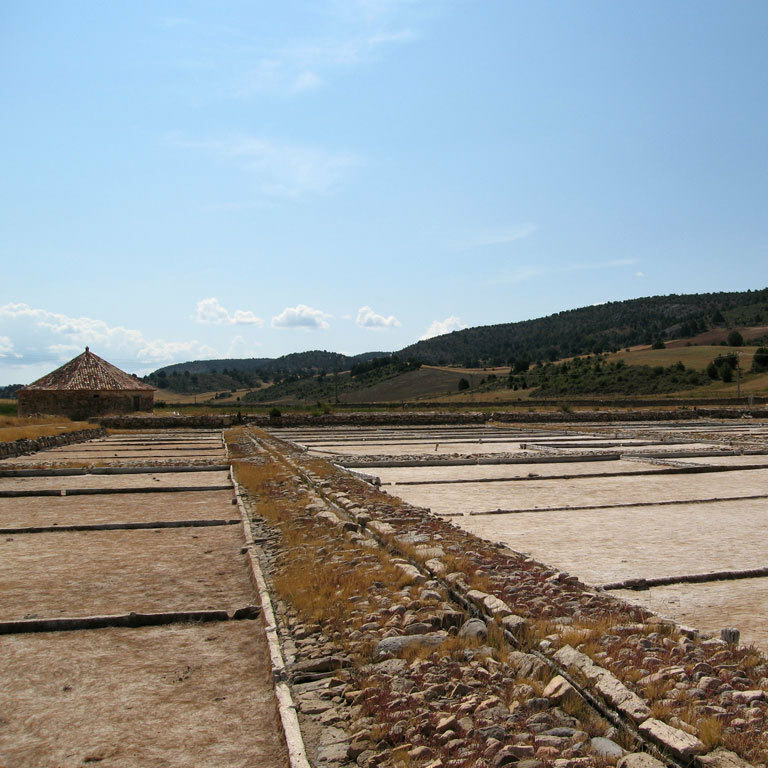 Many travellers usually extend the journey one stage further and continue on to Teruel, which, in the 11th century, was more of a communications centre than a village. Gastronomy in these areas has one common denominator, especially in the mountains: heavy stews and game, ranging from stewed beans with game to pickled partridges, including vegetable stews. However, the unquestionable king of the table is ternasco (young lamb), which shares its throne with stewed kid goat in Molina de Aragón. 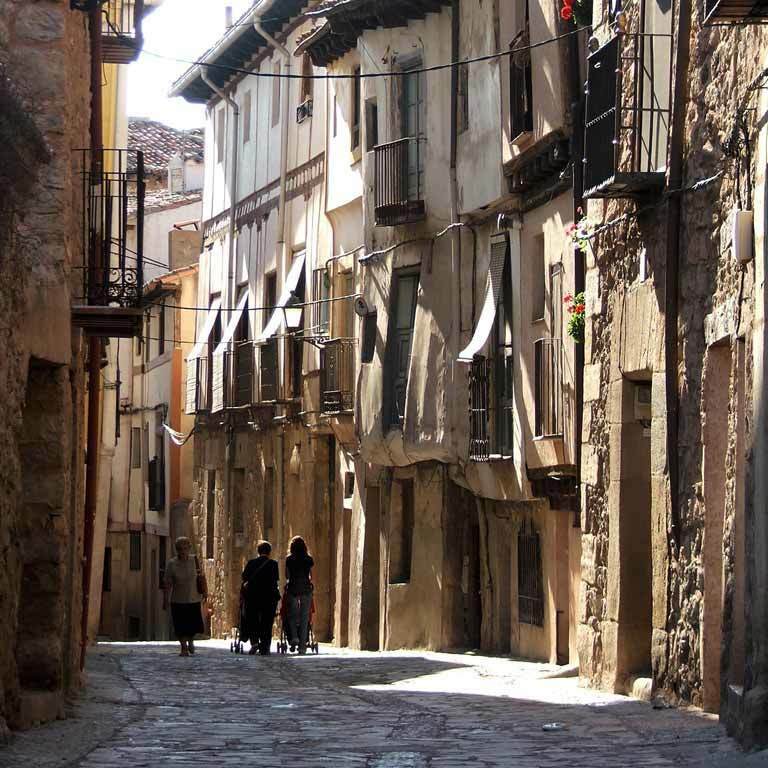 Don't leave Calatayud without trying its wonderful chickpeas with conger eel or fardeles and don't leave the province of Teruel without trying its famous ham, with Calamocha as the most important place in the local "ham world". Fish dishes include traditional cod and trout. Besides the delicious peaches in wine, all along the route you will find different deserts of Mudejar origin, gastronomic evidence of its Islamic past: Daroca is famous for this type of confectionery and you can try the Mudejar trenzas or almojábanas, the most famous of which are to be found in Albarracín, which is also well known for its excellent cheeses. Signposting for hikers. 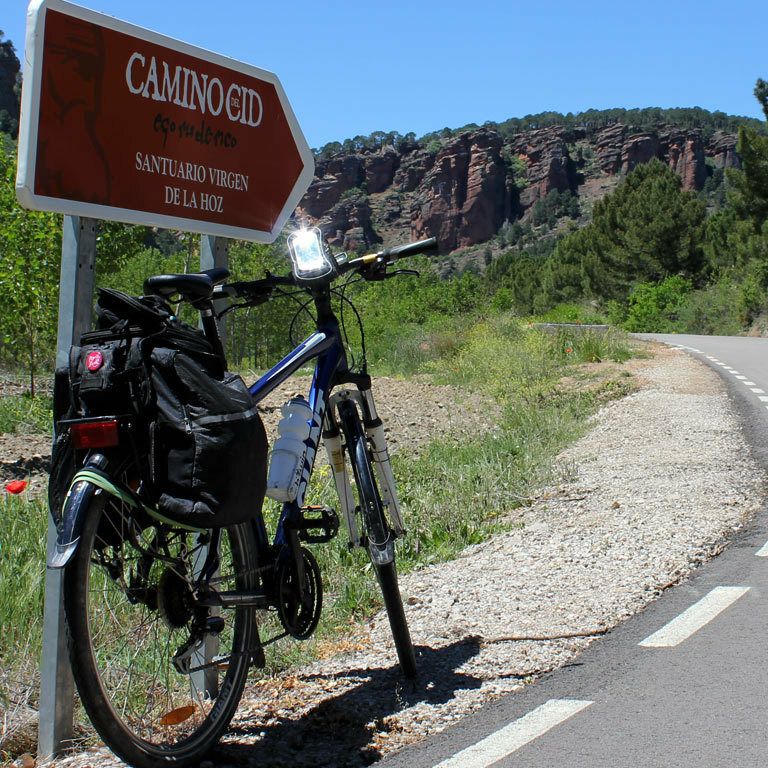 When cycling along the hiking route, the signs are: (a) two red lines (in sections where the Way of El Cid is not certified as a GR, in other words, a long distance track); and (b) a red and white line in sections where it is certified as GR 160 Way of El Cid or coincides with another GR (long distance track). Both the maps and the route guides indicate the type of signposts you will find. Length of the stages: it is best for each one to decide their own stages according to their strengths and personal preferences. Some people place the emphasis on doing exercise, others on the cultural side of the route and others on the simple pleasure of taking in the countryside and locations. The stages we suggest are a combination of all three and have been designed for average tourists cycling under stable weather conditions to enjoy the route without too much stress. Especially as from Molina de Aragón, we recommend not extending the stages too much and sticking to the distances we suggest. The route for BTT cyclists. This is a very varied route: from Calatayud to Daroca the countryside alternates between river plains and fruit orchards with mountain areas. 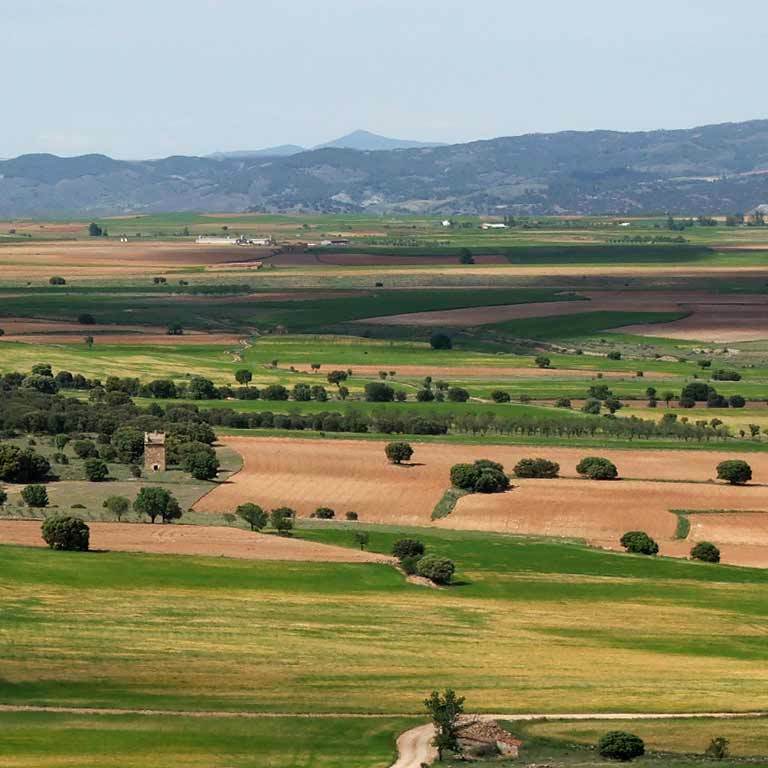 The plains of the River Jiloca, with its crop fields, pine groves and scrubland accompany us until we reach Molina de Aragón and, from there on, we have the exuberance of the Upper Tagus. As far as the climate is concerned, the area of the River Jalón has a gentle climate with very hot summers. 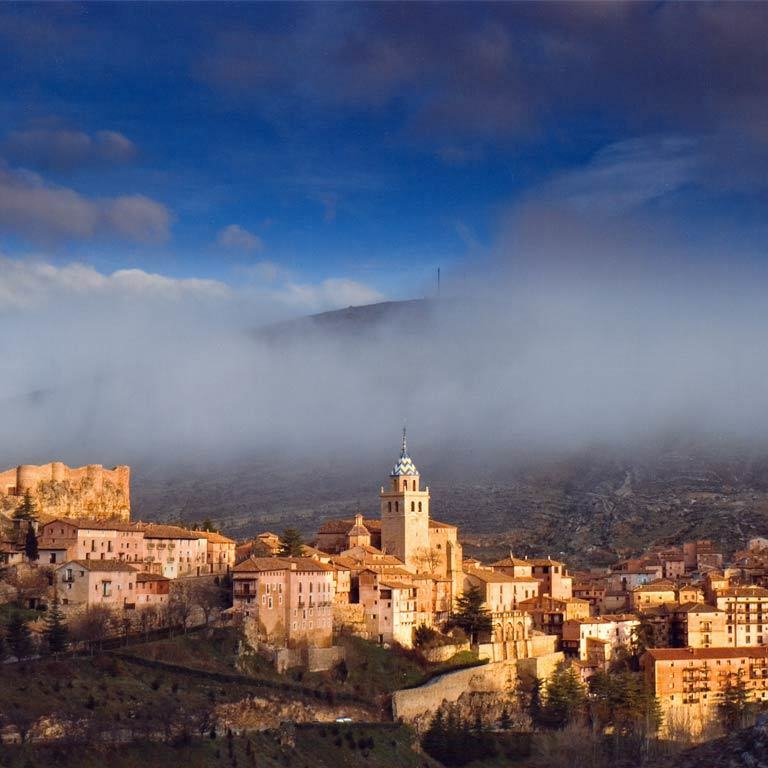 However, the triangle formed by Calamocha, Molina de Aragón and Albarracín is famous for its very cold winters. This second part of the route crosses rugged natural areas, but the only difficulty in the tracks is the physical effort required with so many ups and downs and short sections with steep slopes. If you are on your own, make sure you charge your mobile phone before setting off and remember to read the other tips we give you here. On your way, you will come across fences with gates and the occasional electric fence. They are there to stop cattle escaping. If you see any cattle, don't worry; there are no fighting bulls! Simply go past the animals without frightening them and please remember to leave the gates as you found them! Your literary guide. 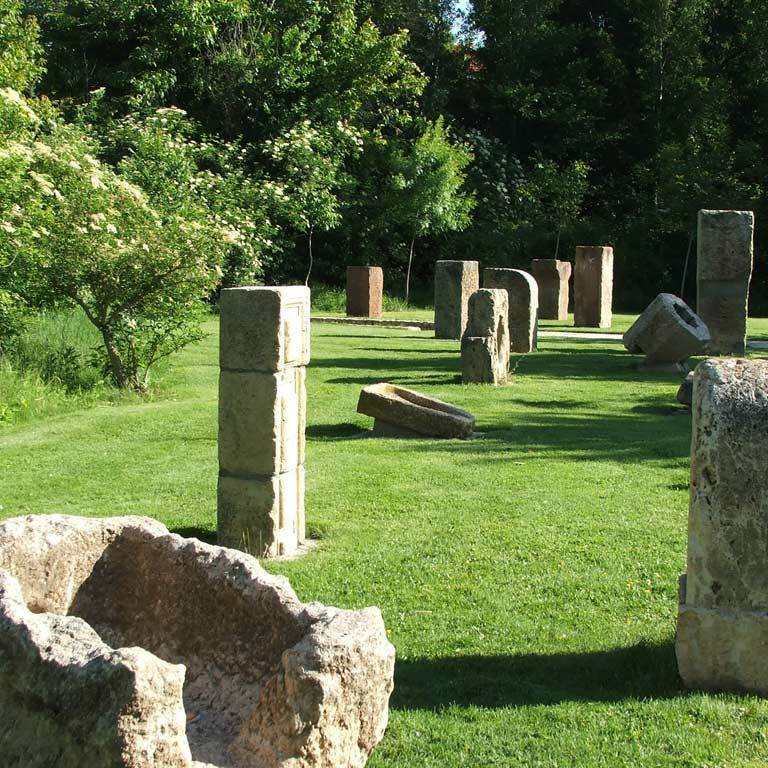 You might think it's unnecessary weight, but for many it is essential: don't forget to take with you a copy of the Poem of The Cid; you will be able to recreate some of its passages on site. If your old Spanish is not so good, take a modern version! 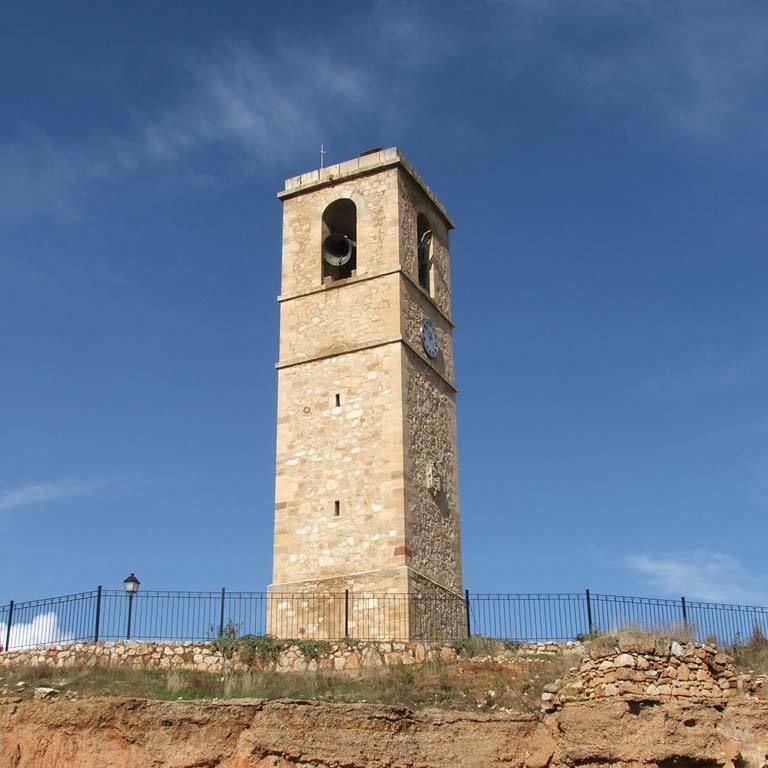 Normally, you will start the route in Calatayud, an important communications centre 8 km from Ateca. 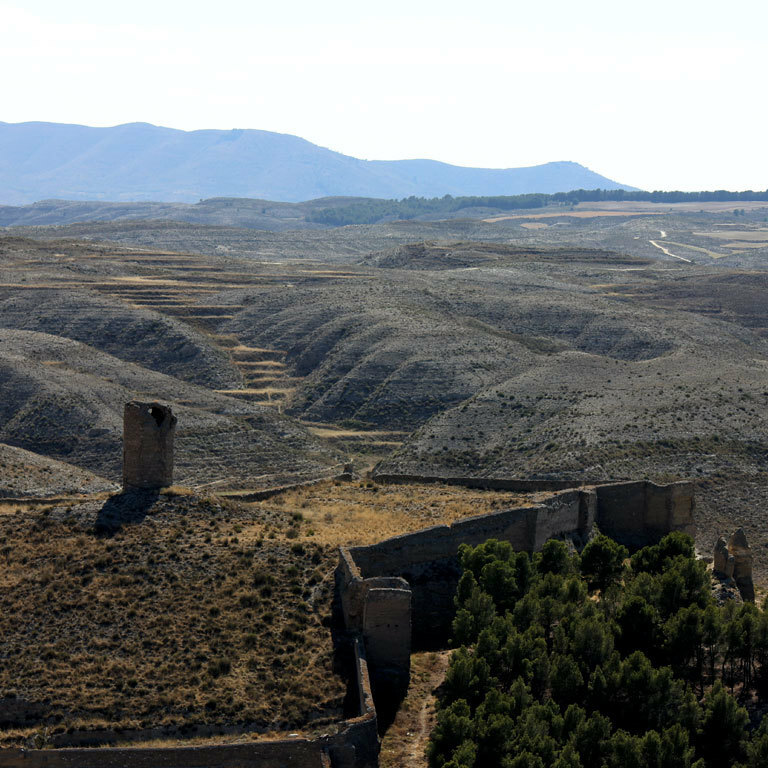 The Provincial Council of Zaragoza has set up a hiking route between both towns. 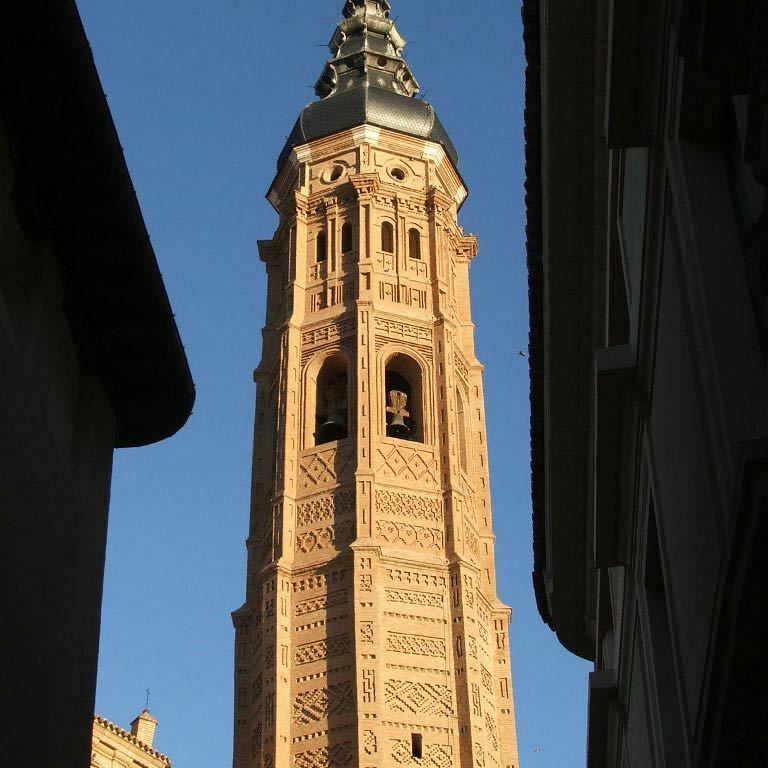 For more information about the transport options in Calatayud, click on the information about the municipality. 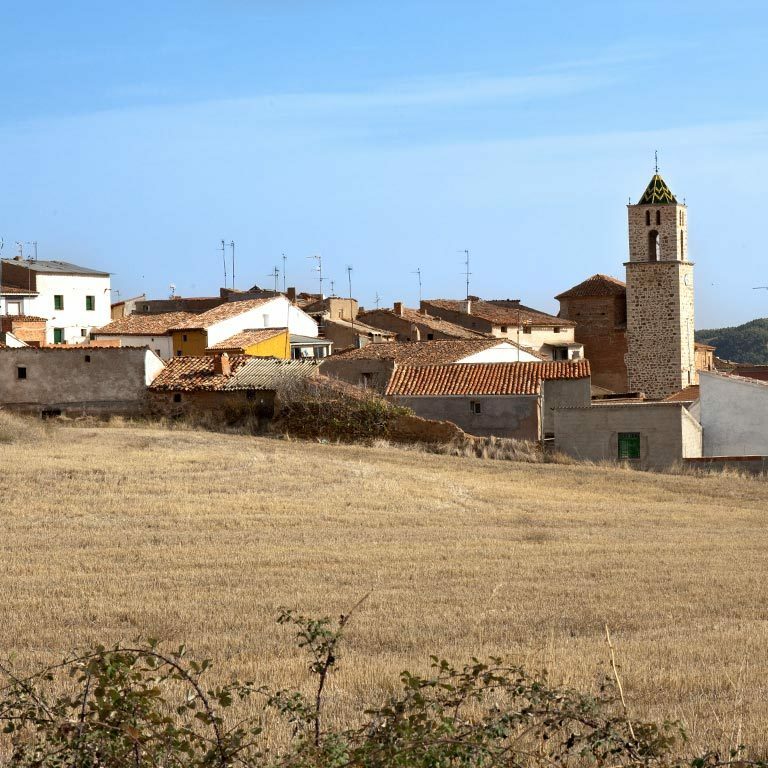 You can also start from Ateca, 9 km away: for more information on how to do that, click on the information about the municipality. For more information about the transport options in Cella, click on the information about the municipality. 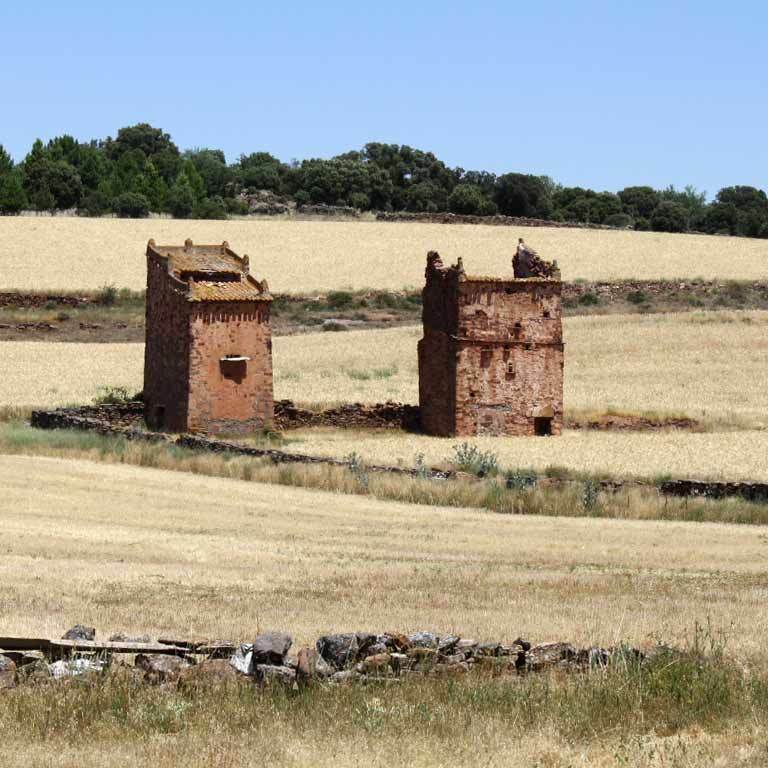 Some travellers extend their journey one stage further and continue until they reach Teruel, 27 km away and an important communications centre. 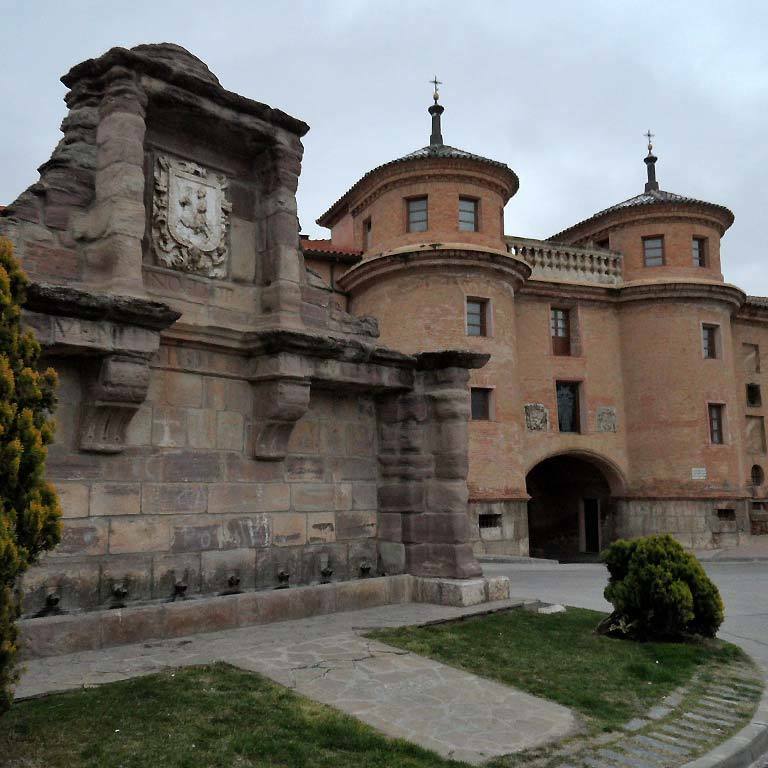 For more information about the transport options in Teruel, click on the information about the municipality.